The goals of treatment for asthma are to minimize symptoms and allow children to participate in normal physical activities with minimum side effects. It is also important to prevent emergency department visits and hospitalizations due to asthma attacks. Ideally, this means a child should not experience asthma symptoms more than once or twice per week, asthma symptoms should not wake a child at night more than twice per month, and a child should be able to participate in all play, sports, and physical education activities. Note: Inhaled forms are preferred because they deliver the medication directly to the air passages with minimal side effects. Asthma is different in every patient, and symptoms can change over time. The child's doctor will determine which asthma medication is best based on the severity and frequency of symptoms and the child's age. Children with asthma s​ymptoms that occur only occasionally are given medications only for short periods. Children with asthma whose symptoms occur more often may need a controller medication based on the severity and frequency of symptoms and their age. Sometimes, it is necessary to take several medications at the same time to control and prevent symptoms. The child's doctor may give several medications at first, to get the asthma symptoms under control, and then decrease the medications as needed. They may also recommend a peak flow meter for a child to use at home to monitor lung function. This can help parents and caregivers make decisions about changing therapy or following the effects of changes made by the doctor. Asthma medications are divided into 2 groups: quick-relief medications and controller medications. Quick-relief medications are for short-term use to open up narrowed airways and help relieve the feeling of tightness in the chest, wheezing, and breathlessness. They can also be used to prevent exercise-induced asthma. These medications are taken only on an as-needed basis. The most common quick-relief medication is albuterol. Controller medications are used on a daily basis to control asthma and reduce the number of days or nights that your child has symptoms. Controller medications are not used for relief of symptoms. Children with symptoms more than twice per week or who wake up more than twice per month should be on controller medications. The number and severity of asthma attacks also determine whether a controller medication is needed. ​Inhaled corticosteroids are the preferred controller medication for all ages. When used in the recommended doses, they are safe for most children. However, the child's doctor may recommend another type of controller medication based on the specific needs of the child. All people with asthma should have an asthma action plan (or asthma management plan). The plan shows the child's treatment information, such as what kind of medicines to take and when to take them. 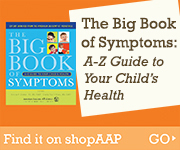 It also describes how to control asthma long term and how to handle an asthma attack. Additionally, the plan explains when to call the child's doctor or go to the emergency room. All of the people who care a child should know about the child's asthma action plan. These include family members, child care providers, schools, camps, team coaches, and instructors. In an emergency, these people can help the child follow their asthma action plan. The Centers for Disease Control and Prevention (CDC) provides easy-to-use examples and forms. Click here to learn more.